Washington DC, USA -- In honor of the Dalai Lama's 70th birthday this year, and his November visit to Washington DC, Tibetan Buddhist monks will create and then destroy a unique sand mandala at the new office of the International Campaign for Tibet on 20-21 September. The ritualized creation and dismantling of a sand mandala is a powerful spiritual and artistic experience, demonstrating the vibrant living tradition of Tibetan Buddhism. The Red Tara sand mandala will be created by monks from the Mindroling monastery of Tibet, re-established in India, at ICT's office in the heart of DC. The creation, visualization and dismantling of the mandala, which means 'circle' in Sanskrit and symbolizes the cycle of life and death, is an integral part of Tibetan Buddhist practice. There is a special connection between the Red Tara deity and the 14th Dalai Lama, who will be in Washington in November. Mary-Beth Markey, Executive Director of ICT, said: "We are privileged to host this ceremony, which is one of the most profound combinations of spiritual value and aesthetic beauty that one can experience. While this ancient ceremony is distinctly Tibetan, the mandala has been embraced by many traditions as a meditative symbol of inter-dependence and is therefore keenly relevant to our experience in the modern world." A sand mandala is made of hundreds of thousands of brightly-colored grains of sand, placed grain by grain, in intricate traditional designs. Visitors will be invited to watch the monks at work at ICT in the compelling and intimate ritual of creating the mandala. 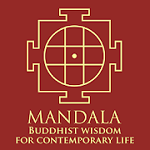 On 21 September, the mandala will be dismantled in a process symbolic of the impermanence of life. A press briefing will be held afterwards on the significance of the Dalai Lama’s forthcoming visit to DC. The Mindroling monks, from Dehra Dun, India, will also consecrate a stunning Red Tara thangka (scroll painting) at ICT’s office on 21 September. The iconography of the Red Tara is based on ancient Tibetan Buddhist texts prophesizing the birth of the 14th Dalai Lama and including a special prayer invoking Red Tara to assist the 14th Dalai Lama to overcome extreme external and internal obstacles that could arise in his lifetime. Red Tara, one of the female deities in the Buddhist pantheon, is meditated upon to protect from fear. Mindroling Monastery is one of the six major monasteries of Tibet belonging to the Nyingma lineage and is currently the seat of the head of the lineage. The construction of the sand mandala is a highly visual process which begins with drawing the design, forming a 'cosmogram'. Once this is complete, the monks painstakingly begin the process of applying colored sand through the end of a metal funnel onto the design. Mandala sand painting is considered to be one of the most unique and exquisite artistic traditions of Tantric Buddhism. Called 'dul-tson-kyil-khor' in Tibetan, literally 'mandala of colored powders', the process is one of prayer, patience and meditation. You can find more detailed information about the event here. The venue of the mandala creation is a new cultural and diplomatic center for the Tibetan people in the heart of DC. 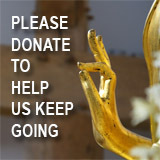 The International Campaign for Tibet together with the Mind-Life Institute is hosting a public talk by the Dalai Lama entitled 'Global Peace through Compassion' on 13 November at the MCI Center (www.dalailamadc.org).